With summer just around the corner, I thought it would be fun to craft up some decor for around the house. Memorial Day and the Fourth of July give me a great reason to bust out the red, white, and blue from about mid May-July. 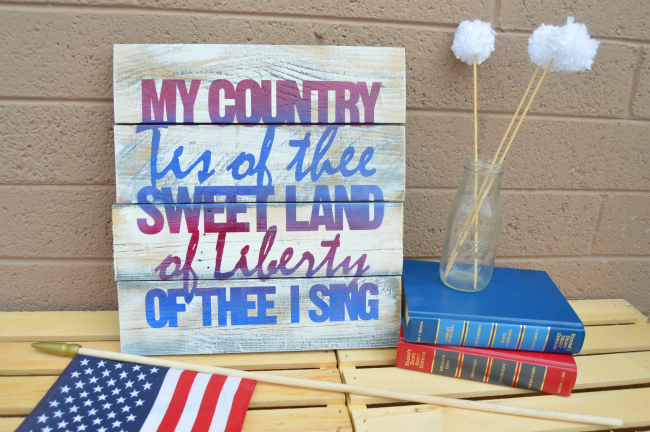 I’m Kara from Mine for the Making and today I’m going to show you how to make this Patriotic Pallet Art! I really love the way it turned out. 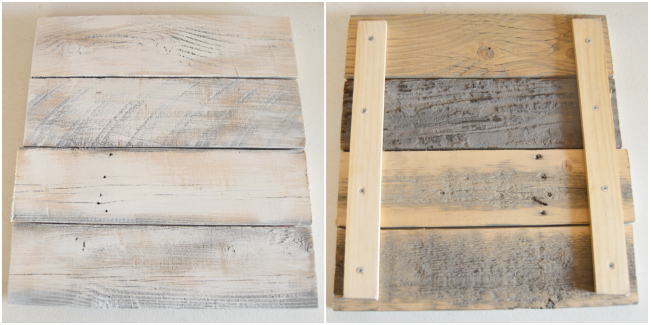 This is an easy DIY project that anyone can do…so don’t let a few power tools scare you away! Tips: If you don’t have a saw, you can ask your local home and hardware store to make the cuts for you. And if you don’t have a sander, choose smooth wood. 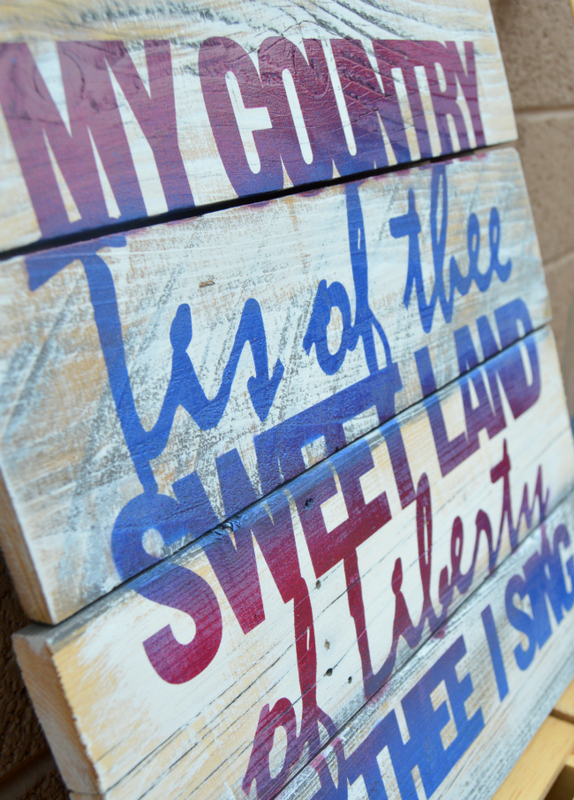 First, you want to get your pallet sign ready. After cutting and sanding your fence slats, use your paint brush and dry brush the white paint onto the slats. I do this lightly so that the wood still peeks through. Once the paint is dry, flip the slats over, line them up, and use the drill to secure the paint stir sticks to the back (one on each side). If your stir sticks are too long, simply cut them shorter (this can even be done with a hand saw) before you screw them into the fence slats. 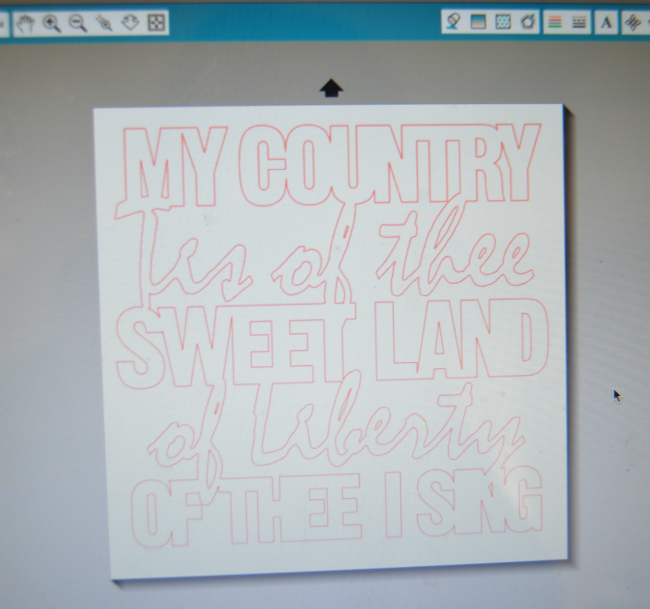 Next you want to design your sign on your Silhouette software. You can create your own design or purchase one for as little as 99 cents from the Silhouette online store. You can find the design I chose HERE. I made my cut area 11×11, fed my vinyl into the Cameo, and cut out the stencil. 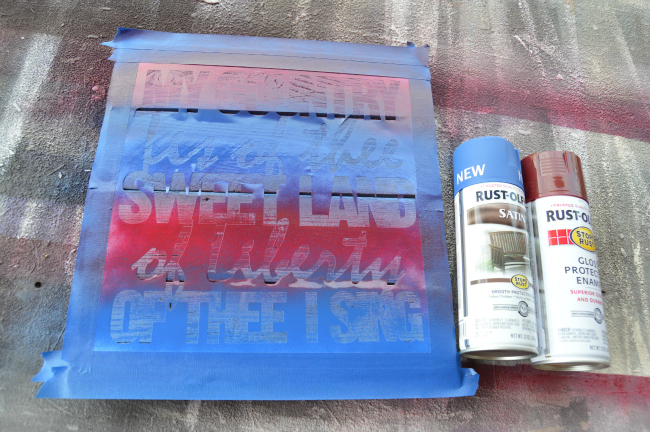 After weeding the vinyl, add transfer paper to the vinyl and transfer it to the pallet sign. 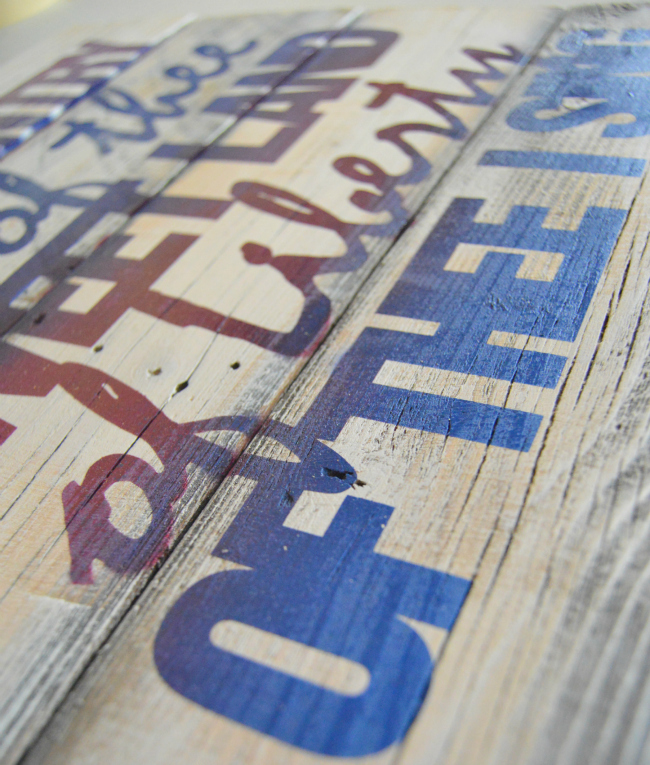 Remove the transfer paper carefully and tape around the edges of the pallet sign with the painter’s tape. Now it’s time to paint! Paint sign in sections, sweeping the spray paint in a horizontal motion. Switch to the next color and create a red and blue ombre look. 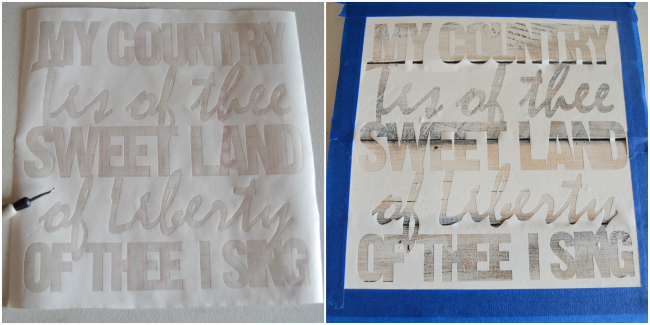 Allow dry time and then peel off the tape and stencil to reveal your Patriotic Pallet Art. 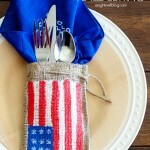 If you liked this project, you should check out my Patriotic Chalkboard Pallet Art and this adorable Hand Print Flag Tee! Happy creating, friends! 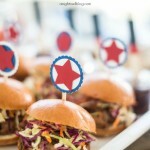 This sign is so fun and cute! 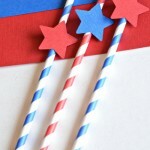 I Also love that it seems pretty darn easy to make! I love your sign!! 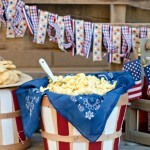 Pallets and patriotic is prefect!! I love how the spray paint looks with the alternating colors.